Given the extent to which UKIP has wrong-footed Labour (nationally we don’t seem to have decided yet whether to attack them or triangulate them, or even whether they represent a threat or an opportunity), it is reassuring that another emerging threat to Labour is being taken seriously: the Greens. The appointment of Sadiq Khan as a shadow cabinet lead on taking them on, pulling together best practice from areas where they have already been a local problem, is timely. Partly because of the collapse of the Lib Dems the Greens have had a small but significant boost. One recent poll put them on 8%, ahead of the Lib Dems. According to YouGov, 50% of their current support are ex-Lib Dems, who presumably might have headed in our direction instead, and more worryingly 22% are people who voted Labour in 2010. They recently went past 20,000 members for the first time. The Greens are ambitious. They have publicly declared they are targeting twelve parliamentary constituencies in the General Election – their current seat of Brighton Pavilion plus Norwich South, Bristol West, St Ives, Sheffield Central, Liverpool Riverside, Oxford East, Solihull, Reading East, York Central, Holborn & St Pancras and Cambridge. They won’t get anywhere near winning most of these this time but they will distort the major party battle in some of them and potentially position themselves as a serious challenger in 2020. Some of these seats could become four or five way fights where the winning party only needs 25% of the vote. Many of these seats have a big student population, and all of them except St Ives and Solihull are either Labour seats or seats Labour has held in recent years. There is clearly a risk here for us both in terms of long-term threat of losing seats to them and short-term them splitting the left vote to hurt our chances of regaining some of these. A similar pattern has already been seen in Australia where the current Green leader Natalie Bennett happens to be from. Those of us who live in areas where the Greens have targeted council seats know they are not a party that looks on Labour benignly as a potential ally in some kind of red/green coalition but as an enemy they want to shove aside. If they were kindly disposed towards Labour they would join us and lobby for green policies through SERA, Labour’s green affiliate. In Hackney where I fought them in four elections they ousted the Labour leader with a smear campaign, then blocked a black working class woman who was a tenants’ leader from getting elected, largely by mobilising middle class voters who lived in houses that would qualify for the proposed Mansion Tax. On the council they held the balance of power in 1998 but refused to work with Labour, ensuring Hackney had three more years of Tory and Lib Dem initiated cuts and privatisation. In the second period when they had a councillor, her main policy demand was to try to impose Vegan Mondays on the borough’s school children, staff and social services clients. They are a huge drain on campaigning resources – effort we could have spent gaining seats from the Tories was wasted defending Labour seats they were targeting. In almost every instance where the Greens have had seats in a hung council they have done exactly what they did in Hackney – defined themselves primarily as anti-Labour and chosen to work with the Tories and Lib Dems. In Brighton where they have actually held power on the council they have been a disaster, cutting services for the least well-off and causing a bin strike when they clashed with the GMB union over pay – as chronicled by Labour Peer Lord Bassam. Their national policies are a mix of ultra-leftism on defence and foreign policy, opposition to everything Labour and the unions stand for on economic growth and manufacturing, and single-issue crankiness. The option of triangulating the Greens does not exist because if we move towards their policy stances we will alienate vast numbers of mainstream voters. 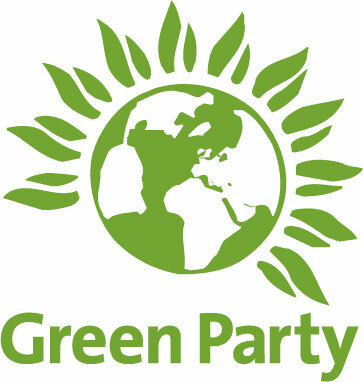 Sadly the message that the Greens are not a welcome addition to the UK’s political spectrum does not seem to have reached a certain segment of the party who get their ideological guidelines from the pages of the Guardian (a paper the Green Party’s leader used to be a journalist for) rather than real life experience. So we have the Compass think-tank hosting Green MP Caroline Lucas repeatedly at Labour Conference fringe events. We have comments on social media complaining that we shouldn’t be trying to win back Brighton Pavilion from her because she is “better” than Labour MPs. We have Labour London Assembly Member Tom Copley tweeting that he wants proportional representation for local government because it is “an affront to democracy that the Greens came 2nd in the popular vote in Hackney and got no cllrs when 3rd & 4th placed Tories & LDs did”. If you want PR for councils at least let your primary motive be improving Labour representation in rural areas, not giving a free pass to the Greens in councils where we have been fighting for years to stop them getting elected. And we have many Labour people demanding that the Natalie Bennett is given the national profile that comes with a place in the General Election leadership debates. It is difficult to tell whether this naivety is caused by self-hatred from Labour people who don’t actually like Labour that much and wish it was more like the Greens or by a misguided belief in “fairness” towards them based on an assumption that the Greens are a sort-of well-meaning pressure group rather than a) extremists and b) one of our electoral competitors. We have been here before, but with the Lib Dems. Repeatedly in the run-up to 2010 we had a similar narrative from the Compassite wing of Labour and from the Guardian calling for tactical voting for Lib Dems and waxing lyrical about how wonderful a coalition with them would be. Those of us who warned the Lib Dems were an anti-Labour force and might go into coalition with the Tories were derided as “tribal” and “dinosaurs”. We all know how that story ended. Let’s not make the same mistake twice.